Six-star all-inclusive cruise line Regent Seven Seas has ordered a new ship; Seven Seas Explorer will be larger than any of the three ships in the current fleet and will boast one of the highest space ratios and staff to guest ratios in luxury cruising. To be built by Fincantieri in Italy and scheduled for delivery in summer 2016, the vessel will measure 54,000 gross tons and carry 738 passengers. It will be Regent’s first new ship in more than 10 years and is reported to be costing $450 million (£301 million). Accommodation will all be in suites ranging from 300 square feet to 1,500 square feet. There will be six restaurants, a nine-deck atrium, and a Canyon Ranch SpaClub. Powered by diesel-electric engines and with a speed of 20 knots, it is claimed to be a “green” ship employing state-of-the-art advanced environmental systems. 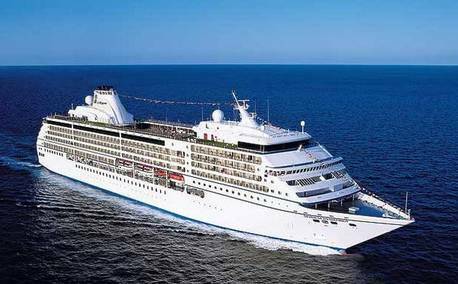 RSSC also operates Seven Seas Navigator (408 passengers), plus Mariner (above) and Voyager, which each carry 708. Explorer will be up against new ships such as Hapag Lloyd Cruises Europa 2, launched this year and two new ships to be built by newcomer Viking Ocean Cruises. It is widely rumoured that Seabourn will also be announcing a newbuild before the end of the year.